What's the most effective way to burn and lose body fat? It's by doing a program specifically and professionally designed for that purpose. If you're serious about getting fit and burning fat in an effective, practical and efficient manner, keep reading and let me introduce you to my 12 Day Fat X Program! I hate wasting money, time and or energy. 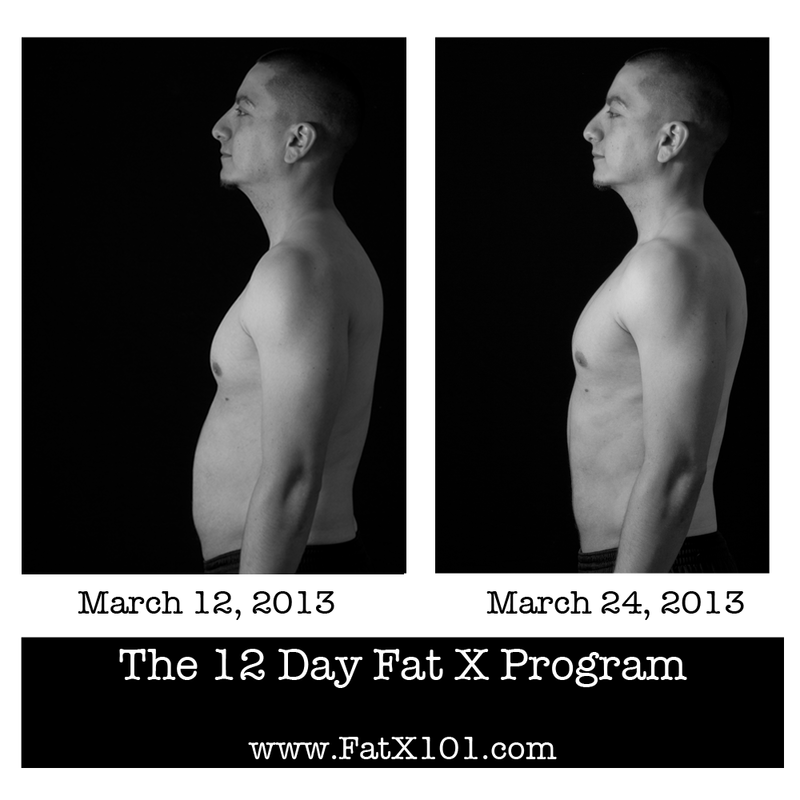 I designed the 12 Day Fat X Program specifically to maximize time and effort by harnessing the power of synergy. Synergy is the interaction of elements that produce a combined effect greater than the sum of their separate effects. Make no mistake about it, synergy is extremely powerful! When it comes to getting fit and losing fat fast, the right exercises used at the right time in the right way will harness the power of synergy to enhance and maximize results! Absolutely guaranteed! 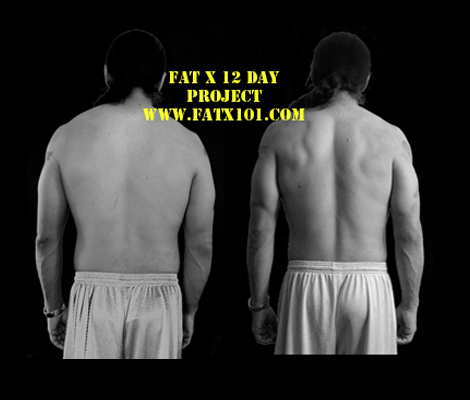 I proved you could lose fat fast in 2008 when I started Fat X 101. 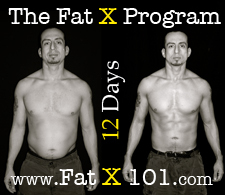 Ten years later you can still get the 12 Day Fat X Program and learn the exact exercises, workouts, and method I use to transform quickly. Think of exercises and fitness equipment as tools. If you use the right exercises, at the right time, in the right way, you can achieve amazing results! 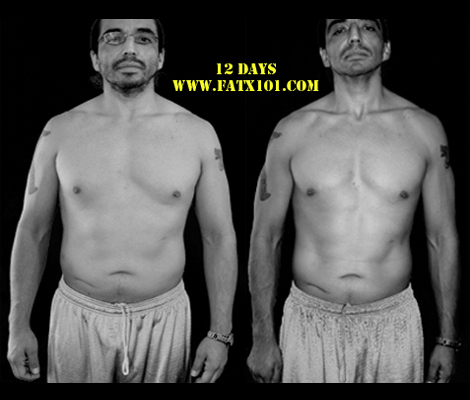 If you're looking to get fit, and lose fat fast, the 12 Day Fat X Program is the fat burning blueprint you need. It's proven and backed by a 30 Day Money Back Guarantee! If you don't succeed, I don't succeed. Failure is not an option! I'm the coach and my clients, including those that download the 12 Day Program are my MVP athletes. I win when you win! Most people fail in their fitness and fat loss efforts because they’re following programs designed by steroid users and or surgically enhanced models. It’s the good old bait and switch, They’ll show you a great body, but their fitness program alone was definitely not how they got that body. I’m proud to be 100% steroid free. Because I chose the natural route, I had to work smart. If you want a fat loss jumpstart program that works for non-steroid using people, real people, like you and I, this is it. It’s worked for me and it’s worked for all clients. I know that results are motivating, and it's important to get off to a good start. 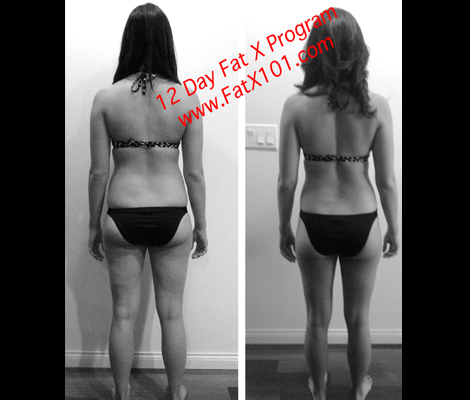 The 12 Day Fat X Program provides that awesome fat loss jump start! 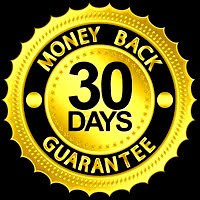 I stand by my program, and unlike anyone else in the industry, I’ve put a 30 Day Money Back Guarantee on it. No gimmicks! No fads! No steroids! I've been a professional Fitness Coach (Personal Trainer) since 2001, and I've never settled for following the crowd and or good enough. I've personally tried and studied the best workout methods, workout routines, exercise plans and philosophies in the fitness industry, such as HIIT (High Intensity Interval Training), anaerobic conditioning, afterburn effect training, a.k.a Excess Post Exercise Oxygen Consumption (EPOC), Crossfit, Olympic Weight Lifting, power lifting, super set training, circuit training, and more! Through experience and research, I began scrapping what didn't work, and kept a record of the methods that produced the best results with real, non-steroid using or surgically enhanced people. After years of experimentation and research, I put the best of the best methods together in one complete and efficient workout program that utilizes the power of synergy. 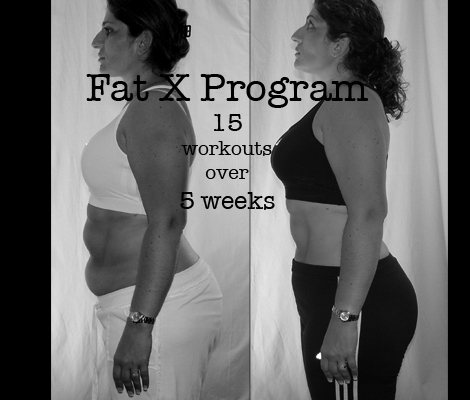 The Fat X Program is my secret synergistic blend of exercises and workouts based on science, research, time tested exercise techniques. You can't get this workout program anywhere else! It's a powerful method I developed and perfected over years of trial, error and frustration. Luckily, it has all been worth it. I’ve had great thank you e-mails come to me from all over the world. 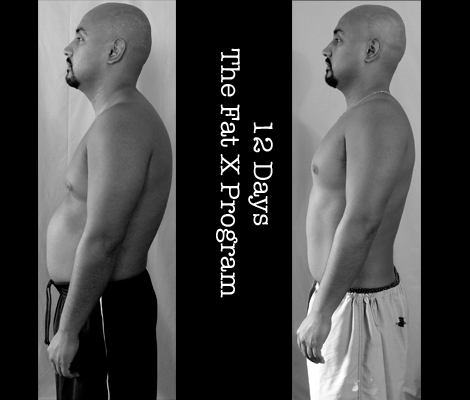 The 12 Day Fat X Program has been described as "the best of the best wrapped up into one easy to follow 12 day fitness program"! Put in the work, and you'll get the results you deserve! I put my name and a 30 Day Money Back Guarantee behind it! Stop wasting time on ineffective workout plans and workout routines promoted my surgically enhanced models and steroid users that produce little to no results for the rest of us. 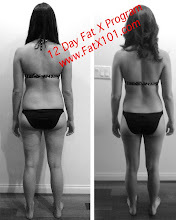 How does the fat burning, Fat X Program (FX12), accomplish such great results in such a short time? 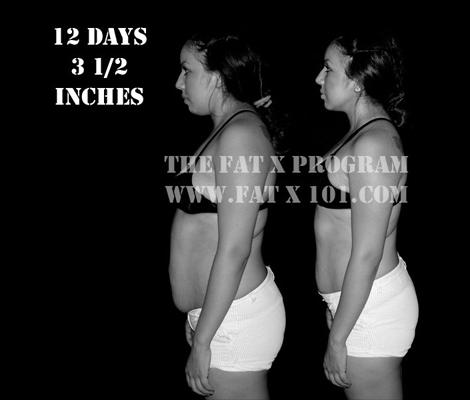 The 12 Day Fat X Program skips gimmicks, fads and cute looking exercises. It focuses on the power of proven methods and the science of fitness to achieve an overall more fit and athletic body. A body that not only looks good, but can perform better athletically. 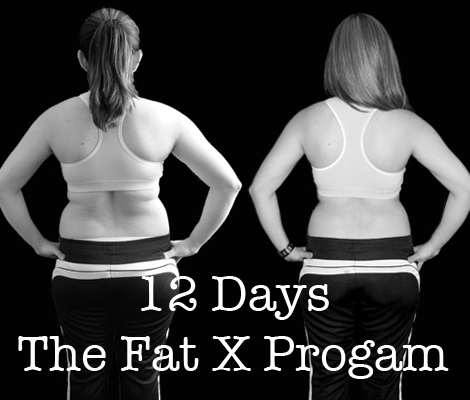 I put my name behind the 12 Day Fat X Program! I truly believe in it and those that have completed it have become believers too! I'm truly confident in what you can achieve with it. And remember, the only thing you have to lose is excess body fat because I did stamp a 30 Day Money Back Guarantee on it! The Fat X Program will help you get better results faster! Guaranteed! And it works great for both men and women. If you want to achieve the lean, toned and athletic look, get started today! 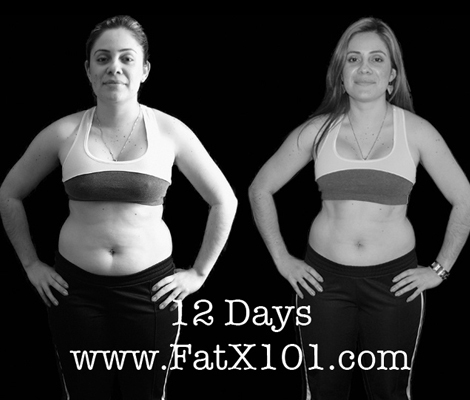 Imaging how great your body is going to start looking in 12 days, 15 days, 30 days from now! But, you have to start now! Don't hesitate, don't wait. The 12 day Fat X Program includes 11 fat burning workout videos (Day 9 is active rest) and the Workout Manual. The fat burning workout routines are short, yet intense so that you get the most out of the afterburn effect (EPOC). Download today and start ASAP! Remember, there's a 30 Day Money Back Guarantee! And, you can always e-mail me with any questions. They aren't rich. They aren't celebrities. They aren't steroid users. They are real people just like you! Real Results! (No Paid Models). 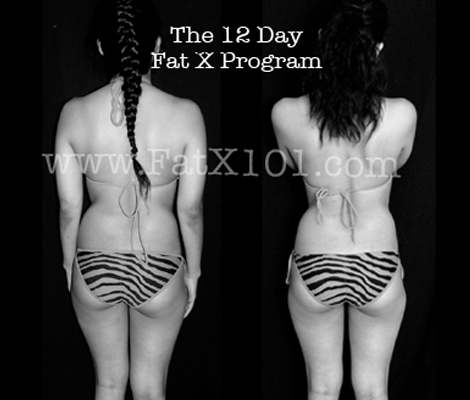 These are their results after their first time through the Fat X Program. Click the thumbnail to view.